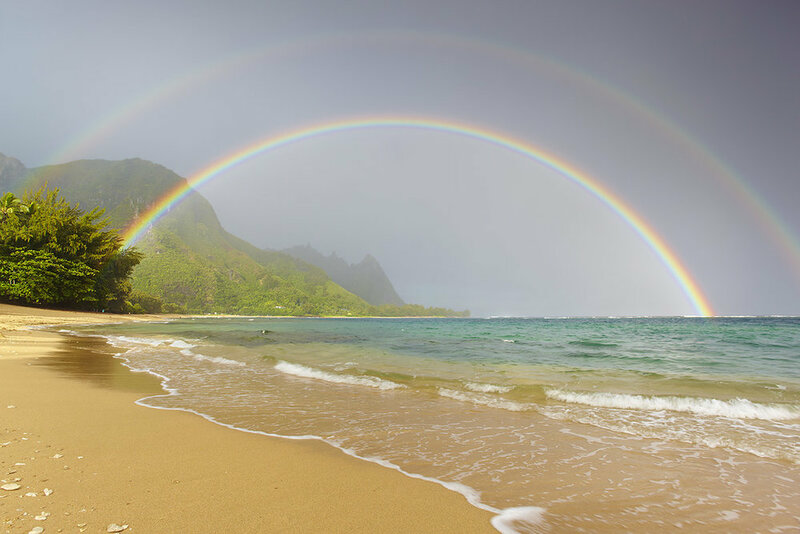 nothing like winter rainbows to help us set positive intentions for the coming year! But, before we move on to 2018, I wanted to take a moment to thank 2017 for all it gave. Okay okay, yes it was a stressful year in so many ways via politics and media, but there's never a better time to reflect on the good than a brand new year. 2017 was an exciting year for me in so many ways. I launched Heal Endo in February. I had been working on this site throughout 2016 as I found myself getting better and better, watching my sickness and pain fade into health and fertility. I couldn’t wait to share this information with the world of endo sisters who, like me, were fervently looking for their lives back. I got pregnant too! Wow, what an accomplishment for us endo-challenged-chicas. It’s not fair that this basic human right should be so elusive to us, but often enough it is, which is why finally getting pregnant allowed me to truly believe in the miracles of bodily healing. Not only that, because of all the ground work of nutrition I laid the previous 2 years (while not getting pregnant, another silver lining thing), my pregnancy has been insanely easy ... as far as growing a miniature human can be. No nausea, no sickness, no back pain, no digestive issues, no heartburn, no cravings. The list could go on, but the takeaway is that so many of the horrors we associate with pregnancy can be mitigated or even eliminated with deep nutritional work - building the body up before it’s own enormous task of baby growing. But honestly, out of everything 2017 brought, the thing I am most grateful for is YOU. Yes you there, reading this post :) When I started Heal Endo I knew I needed to get my story of healing out. It wasn’t a miracle, it was science, protocols that others could follow similarly as me as start getting better. My body, mind, and soul were so transformed from movement, nutrition, detox, and connection that I though even if helped one single woman in pain, my life would be better for it. As I healed I simply couldn’t forget about endo girls and the suffering we face. Since then, Heal Endo has grown into a community that continues to amaze and inspire me everyday! 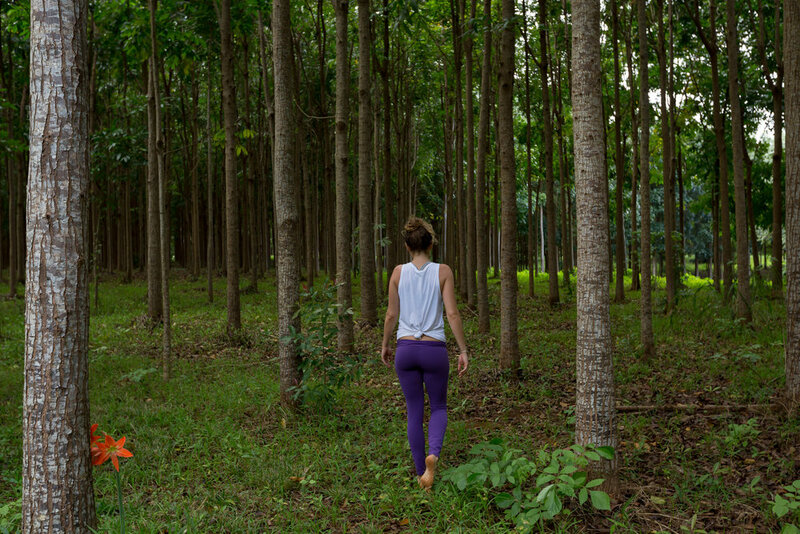 Each week I receive emails from around the world from women healing, women who are curious, women in pain but still with hope, women with infertility who finally got pregnant, women who finally tried some liver and felt better for it ;) The Heal Endo site itself now receives over 2000 unique visitors per month, women interested in every aspect of healing from walking barefoot to trying raw dairy. Honestly, receiving the incredible emails of hope and thanks that I have has both humbled me and melted my heart, making me want to give back more and more to you women who have gone through so much, and are still not giving up. The endometriosis community is incredible, supportive, and so full of love for each other it’s truly a blessing to be a part of it. It’s another one of those silver linings I suppose. Had I not battled with the pain, isolation, and horrors of endo, I wouldn’t have any of you in my life, nor would I be able to truly relate to what endo does to our lives. How it's not okay, not normal, not ever. Perhaps I can honestly say now that, since everything happens for a reason, I understand why I had to deal with this disease, and am somehow thankful for it (don’t hate me for saying that :). Without having endo, I wouldn’t know the true meaning of an endo-sister, or an endo-warrior. You all should be so proud of yourselves for the battles you fight, each and every day. Thanking 2017 for all it had allows us to move forward to 2018 - and what a great way to bring it in with a Supermoon! Anyone else feel the power of setting intentions under the blaring light of a nurturing Cancer moon? Since, like I mentioned above, our society usually makes us settle on intense resolutions of being "better" in ways that aren't truly good, I wanted to do was throw out 5 different types of resolutions - intentions if you may - to set the stage for a truly healing 2018. Setting positive intentions help build a foundation from which other great things can come. And, when they come from a place of love and safety instead of insecurity and self-loathing, we can more easily let our bodies, hearts minds work together as a team, rather than in-fighting about what we think we need versus what we truly need to heal. So ignore the thousands of fitness ads that pop up today, and all the calorie counting diet insanity (ughhhhhhhhhhh, why is this archaic woman-torture device still around?!). Instead, here are a five gentle, life-affirming, and healing resolution ideas that may sit well with a few of you this year. Goals that are geared towards healing, no matter where you’re at in your journey. I've said it many times before but I'll say it again: There may be no “cure” for endo itself, but what if instead you looked at endo as “I’ve got 99 problems and endo is only 1”? That’s the way I approach it at Heal Endo, and a great way to turn a chronic frown upside-down. The issue is that, yes, us endo girls often have a LOT of problems, but when we tie them all to this “incurable” disease we remove our ability to correct what is indeed reversible. Chronic fatigue is healable. Endo belly is healable. Digestive disorders are healable. Allergies, insomnia, weight gain for no reason, brittle hair and nails, anxiety and depression associated with endo, unexplained infertility, etc, all can be addressed, managed, and healed. Another way to phrase this intention might be to list your top 3 endo-related woes and work to address them one by one separately from endo throughout the year. You may be surprised as you address the associated symptoms that the endo pain itself starts to lessen, all without you ever having focused on it. I see this a lot in the endo-social-media-realm: “My body hates me”. I also said that a lot in my life, an uncanny amount, so I can relate. I have journals dating back to high school with this phrase written in the first sentence! So, as a recovering chronically sick self-hater, maybe better put a self-ignorer, this rephrasing in my own life help me tremendously. The truth is, your body doesn’t hate you, it simply isn’t functioning correctly for a number of reasons and is calling for help. Yes it’s super sh*tty a call for help feels like someone stabbed your uterus, or that you’re in bed with a serious cold or flu for the hundredth time, but these are signs your body is simply struggling so hard to keep you alive that it. can’t. even. When we rephrase our thoughts from "my body is an enemy" to “I love my body and want to help it” your soul may actually breathe a sigh of relief. Start to listen to your body, to give it nutrients, to give it rest and love, to bless all its parts whether you understand why they're in pain or not. We may not understand any of it at times, but after you really start tuning in I promise you'll start to see the clues of what your body is asking for. A few years ago, when I was in the throes of endo, my hippy friend told me when she had cramps she put herself in a calming place by closing her eyes, taking deep breaths, and imagining her uterus was a beautiful, sunny garden. Then she’d go about picking the weeds - weeds being the proverbial pain - and tending her garden. My own way of managing pain at the time was popping 4 ibuprofen and repeating the mantra “my stupid body hates me”, so even though this sounded airy-fairy I was totally open to imagining a garden. What I found was, not only did it help calm my fight-or-flight cortisol response every time the pain started creeping back, but it also started to help me see my body as something to love, tend, and care for. Somehow this little act of self care reminded me that my body hadn’t forsaken me, but I had somehow forsaken my body. The endo was still there, but my philosophy had changed. dare I even say ... walk barefoot? Katy Bowman of Nutritious Movement says that walking isn’t optional, it's a fundamental right. We, as humans, evolved to walk long distances every day. Our bodies are physically designed to move this way, so when we starve ourselves of the simple act of walking so many other things can fall out of place, just like if we stopped smiling, loving, or breathing. And yes, I do believe walking is just as important as those three! Not only is walking an innately human activity, it also takes strength, builds muscle and ligaments, taps into your fat burning capabilities rather than your sugar burning ones, and brings blood to your core and pelvis. There are many ways to improve your gait or activate your glutes for better walking, but the best thing to start doing is simply: walk. Walking is also a really easy exercise option to take up for any endo girl, whether you’re stuck on the couch or pushing through cross-fit. At anytime you can walk out the door and move until you get tired, be that 5 minutes or 2 hours. And, unlike a lot of other intense exercise resolutions, you won’t hurt your ankles and knees by February - or flare up your endo for the thousandth time - and be back where you began. One of my clients this year had an epiphany: that social media was one of her life’s biggest stressors. I had given her an investigative worksheet/journal so we could start to pinpoint why she was so stressed all the time, and this seemed to be the biggest thing that came up! Everytime she was on social media her breathing would get shallow, her shoulders bunched up to her ears, her insecurities arose, and suddenly her anxiety would rear up. Her solution? She got off social media and decided whenever she was strong enough to handle it again, she would consider getting back on. This story isn’t unique, I know a lot of people who get stressed about social media. I myself experience it, it's impossible not to really. It’s so cool to have a supportive community, but it doesn’t stand in for real life relationships or experiences that happen off the digital interface, nor do those online relationships diminish all the intense social media issues of feelings of being left out, not being good enough, jealousy, or more. Most of the time, social media creates more insecurities than it does positive outlooks. Not only that, in this digital age where we have more help from tech than ever (dishwasher, clothes washer, vacuum, email), we seem to be completely starved for free time! This is where social media takes a toll, and you can discover just how much time you “waste” in your day trolling Insta, Facebook, Twitter, Reddit, Pinterest, or other brain drains. I’m not saying this isn’t fun at times, but I’m asking you: is this really fun all the time? For the 2 hours per day (which is 14 hours per week!) as the average person spends on these sites? Probably not … I’m guessing it’s more of a habit. And if it’s a stressful habit - perhaps without you realizing it - that’s 14 hours a week of excess stress. I saved the biggest for last, since this “intention” is more of a challenge and not for everyone. But I do know some ladies take New Years resolutions seriously, or maybe you're at that point where you're truly ready to commit to some drastic changes — if that’s you then perhaps consider this route! Doing an intensive diet it, well, intense at first. You really have to prep, stock your pantry, rid your pantry, get a lot of recipe and snack ideas, and prep food. If you’re at a point in your life that this is going to stress you out, I urge you to not do this right now. Waiting until the time is right will help the healing 100 fold, rather than pushing through it just because you think you must do something BIG. However, the impact these diets can bring to endo-girls are huge. Imagine finally calming down the pain, endo belly, stress, and more, all through diet that not just eliminates what ails you, but simultaneously heals your gut lining. That’s why these diets are incredible healing instead of “crash diets” that totally ruin you in the long run. Perhaps another way of phrasing this intention would be to clear off enough of your plate that you feel confident enough to undertake one of these protocols in 2018. That way you don't have to drop everything in January, but start to lay the groundwork so that - by 2019 - you will have at some time accomplished this intention.